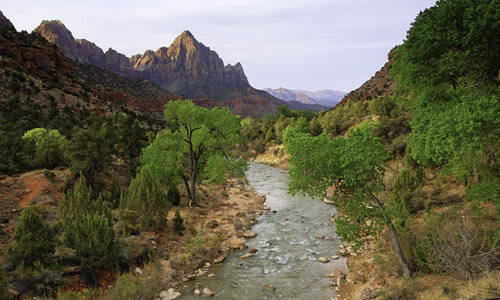 This site provides links to two detailed web-site directories with information for either the Zion National Park or Bryce Canyon areas. Zion National Park and Bryce Canyon National Park are less than two hours apart and it is easy to visit both locations in one multi-day trip. On these web-sites you will find lodging, dining, activities, and other important travel information. Come visit us and see the natural wonders for yourself! More natural, scenic attractions, than anywhere in the world. Here you'll find information on spectacular destinations such as Bryce Canyon National Park, Capitol Reef National Park, Lake Powell, Kodachrome Basin State Park, Anasazi Indian Village State Park, and Petrified Forest State Park. Bryce Canyon National Park is the centerpiece to an area that offers America's highest concentration of natural scenic wonders. Bryce Canyon National Park is actually a series of amphitheaters along the eastern rim of a large plateau. Visitors may drive along the rim to scenic overlooks or step over the rim to the valley below on many hiking trails. This is the place for great hiking, mountain biking, fishing, horseback riding, back-country exploring, ATV Trails, ATV Riding, scenic aerial tours, and much more. 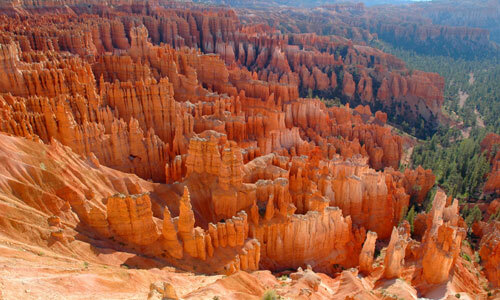 Bryce Canyon Country is considered by many to be the most scenically diverse place in the world.